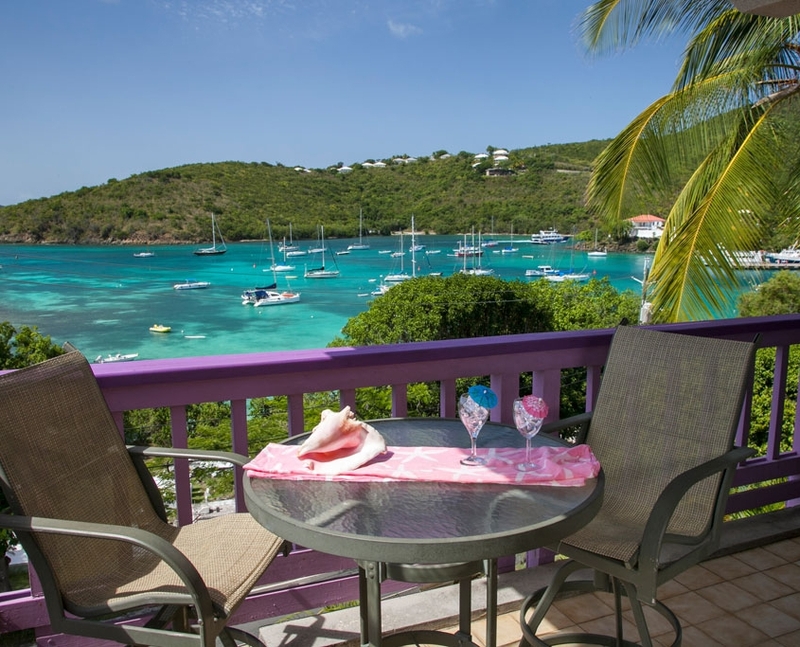 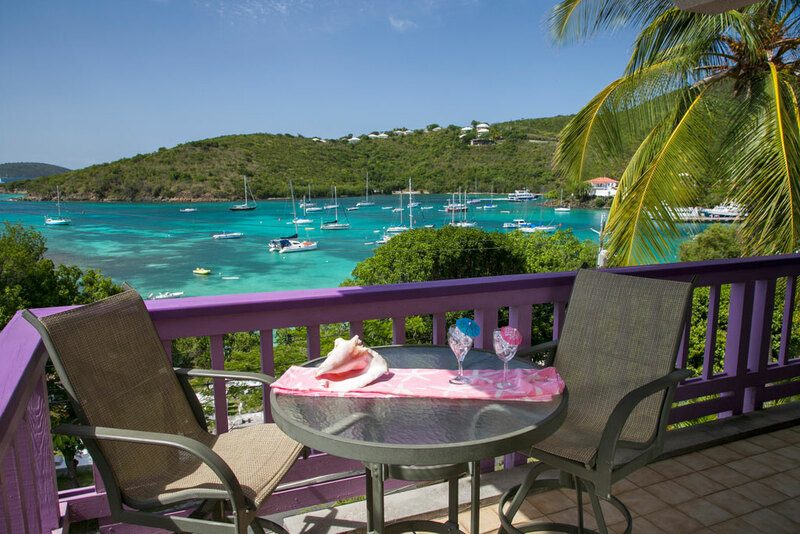 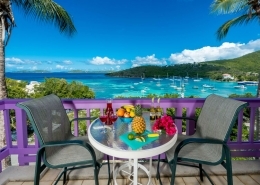 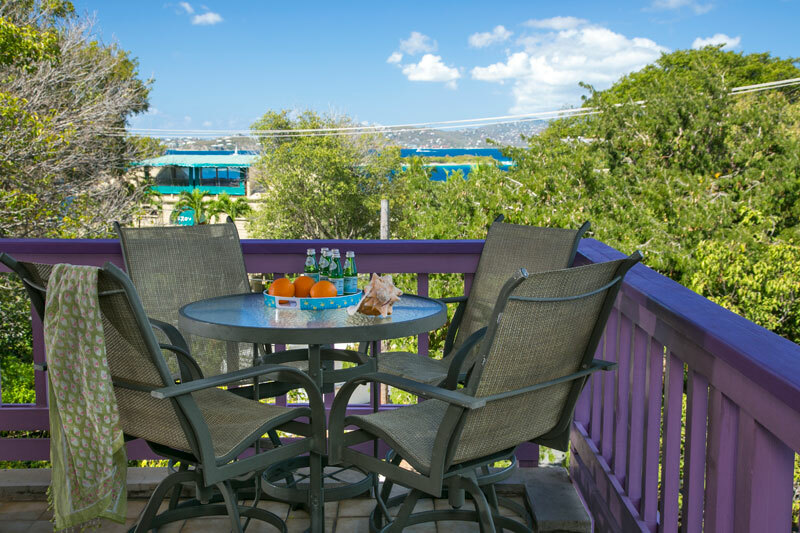 Perched perfectly for St John sunset and dramatic views of the sea, this unit offers colorful furnishings, a full kitchen, and easy main-level access. 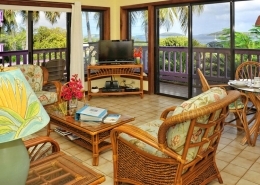 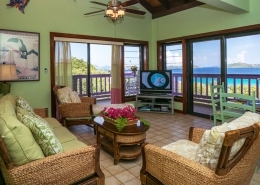 Unit 2W boasts a spectacular view of Cruz Bay, Caribbean, and St. Thomas island including sunsets on the western horizon. 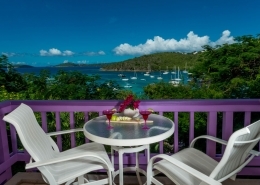 2W is unique among condos and Cruz Bay hotels for its panoramic views of Saint John, Saint Thomas and even beyond these Virgin Islands. 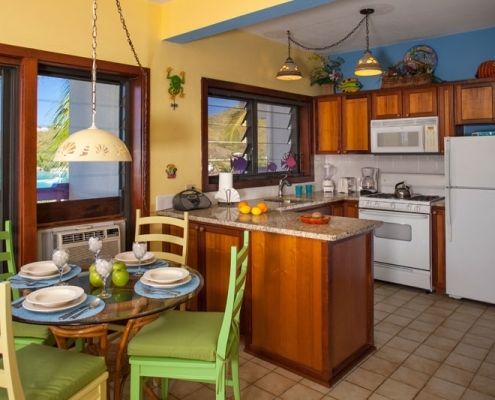 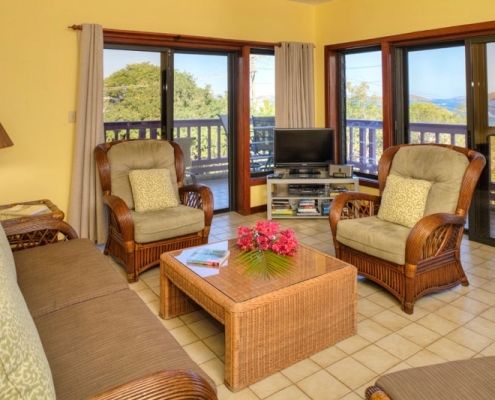 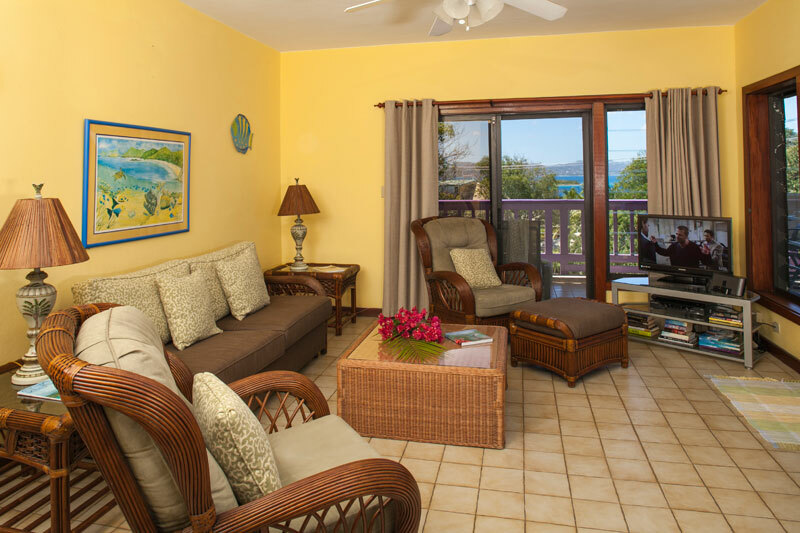 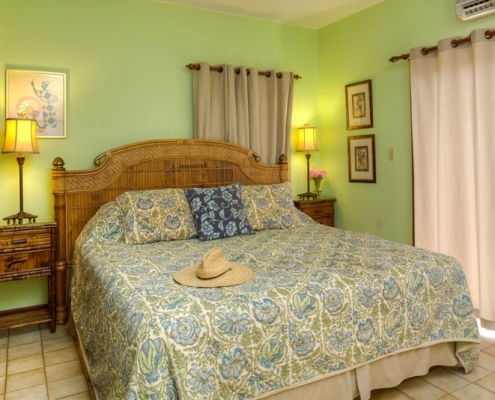 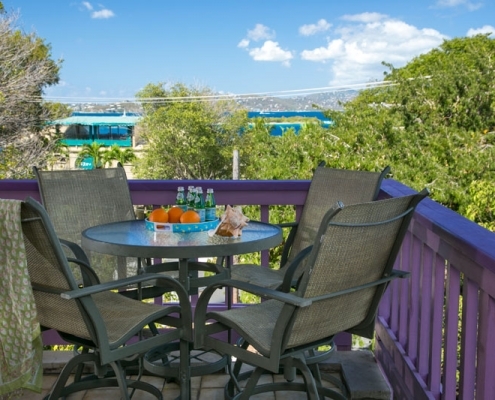 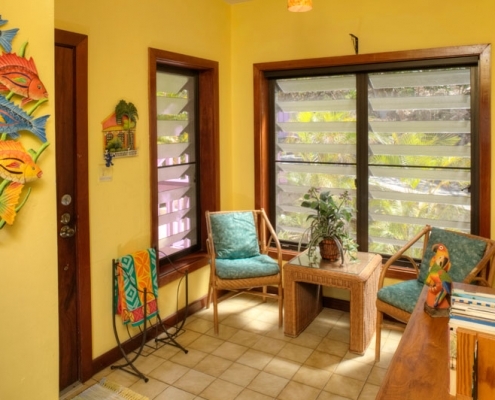 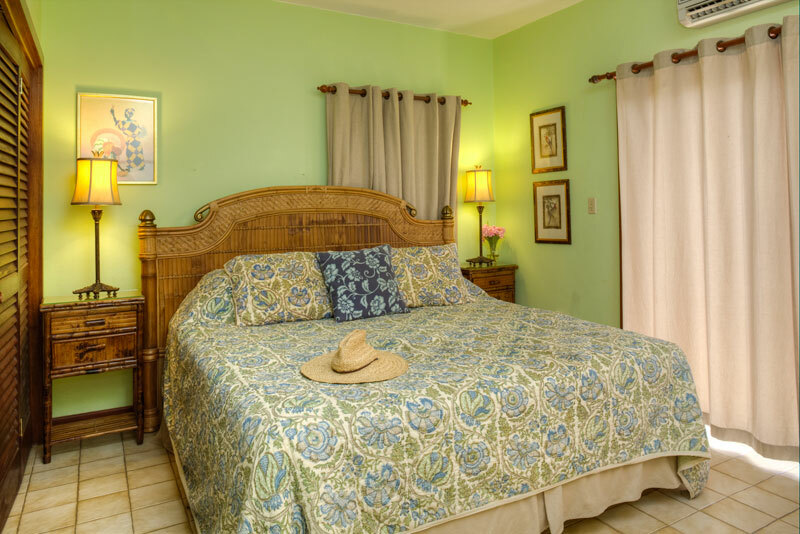 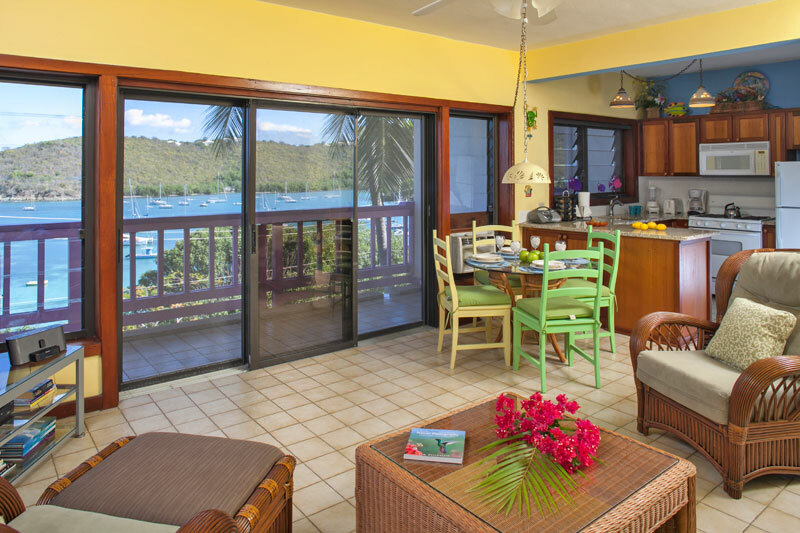 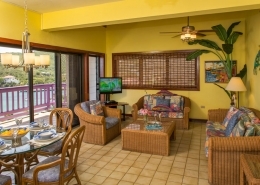 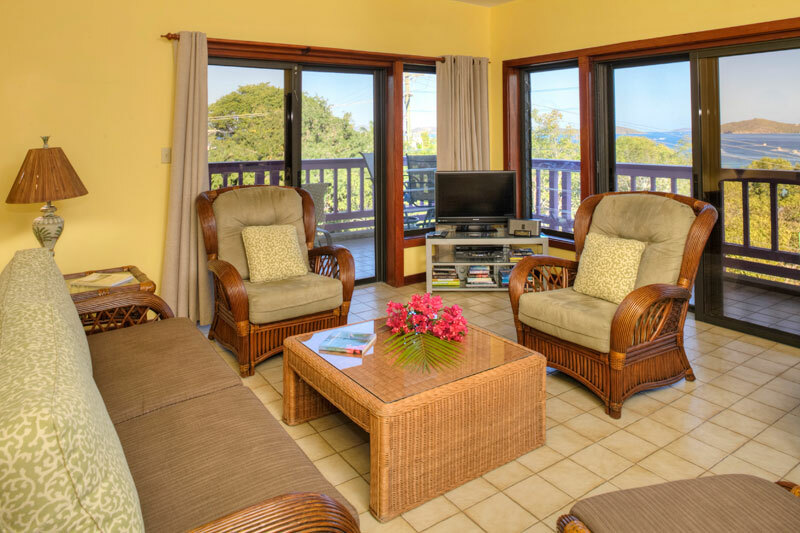 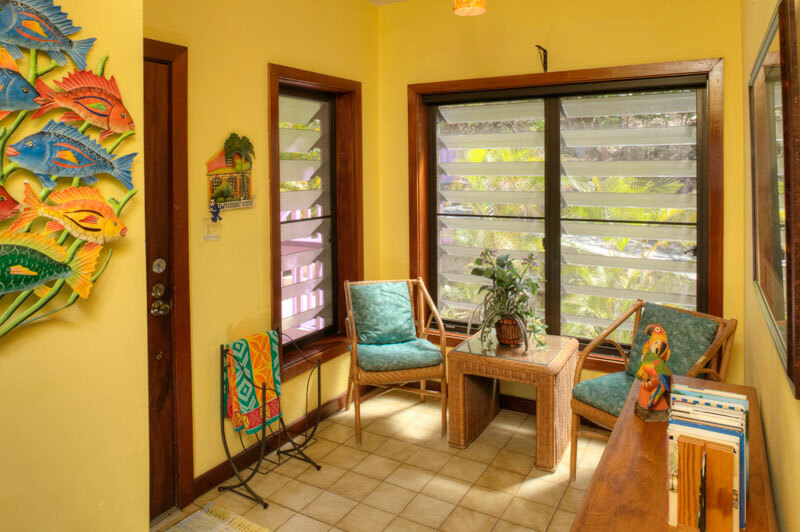 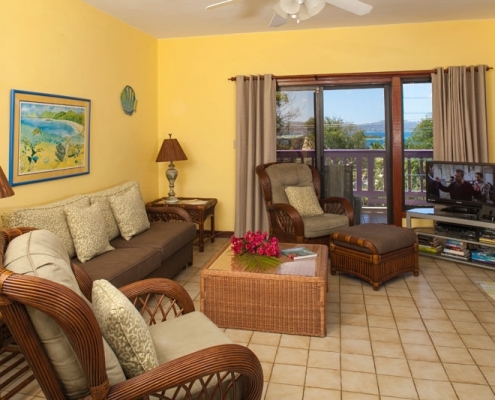 Enter this unit from our parking lot level, and enjoy its tropical, colorful furnishings, its king-sized bed, and its spacious covered wrap-around deck ideal for dining and relaxing in our Caribbean breezes. 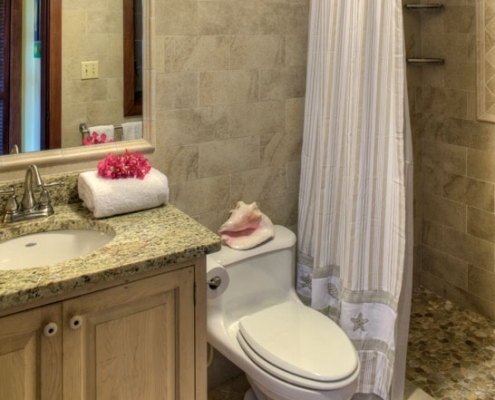 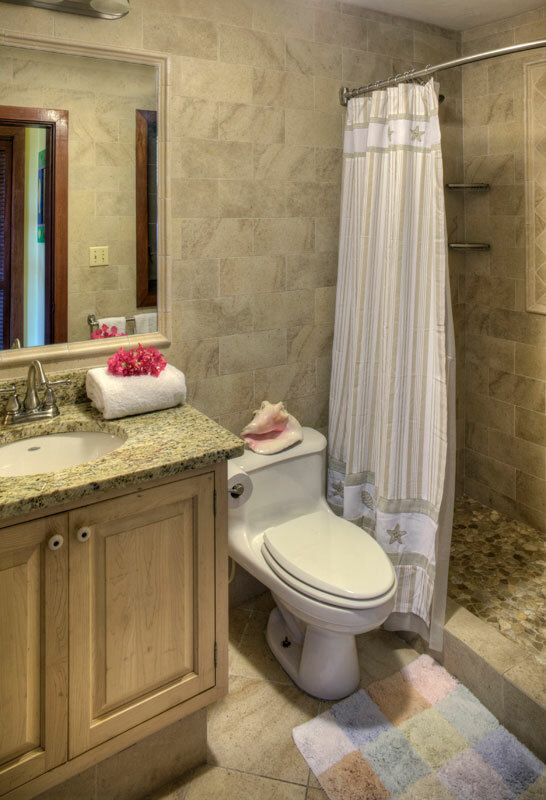 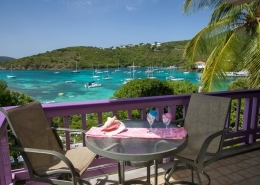 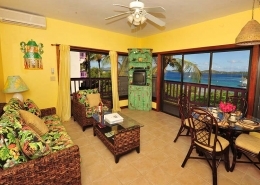 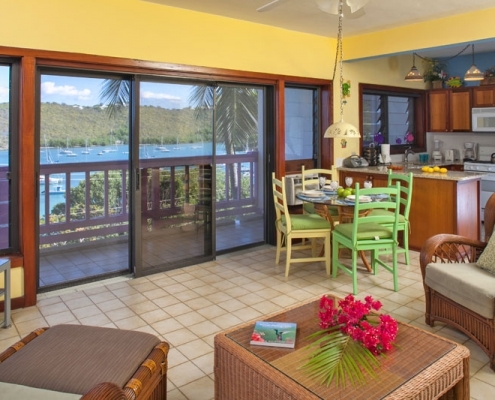 Like all our Virgin Island condos, this condo is a 1 bedroom with room to roam inside and out. 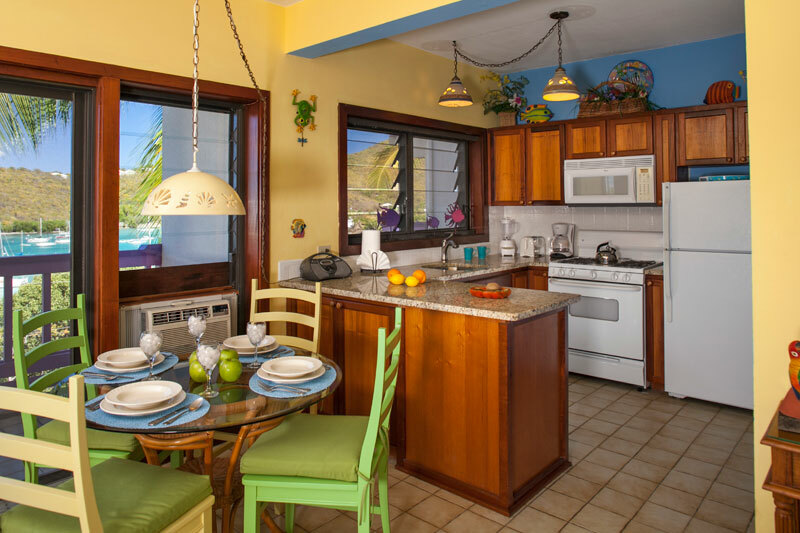 2W is air-conditioned and has a sleep-sofa in the living room, DVD player & stereo, beach chairs, beach towels, coolers, and a fully equipped kitchen.